The College of Engineering and Applied Science has several computer labs available to students, some are available to all Engineering students, and others are available to students based on their home department. Students in Civil and Architectural Engineering should have access to a laptop or tablet for some department coursework. If you choose to buy a computer, then you should purchase the best computer you can afford, so it will last your entire academic career. Many computer vendors offer student discounts, so make sure to check. Laptops or tablets are encouraged. Wireless access is being made available around campus. The College provides wireless access near student study areas. These are the minimum specifications you should follow (Autodesk Revit Users, Computer Science, and Computer Engineering students should use the larger specifications as minimum specifications). Revit and SolidWorks users should check the video card recommendations at the vendor’s web sites. The University of Wyoming now provides free copies of Office 365 to enrolled students. For more information on free software for students in the College of Engineering and Applied Science checkout CEAS Computer Resources. The Engineering Science Computer Labs (ESIG) are available to students who are enrolled full-time in any College of Engineering degree program. Any room may be used during hours of operation unless a class has been scheduled. All labs are networked. 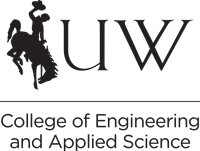 The Engineering College is part of the University of Wyoming wide area network.